Sensor cleaning technology. Static electricity, dead pixel, automatic sensor cleaning system. What are those spots we see on the sensor? Why it is important to clean all the parts, not just the sensor? There are many myths floating around the Internet about what is the safest and best method to clean your digital camera's sensor. At VisibleDust, we invest heavily in scientific research to help you save time and money making an informed decision based on fact, not on opinion. Suprisingly, even the methods recommended by camera manufacturer's have serious drawbacks. Did you know that most digital camera cleaning centers only clean the sensor and never address any critical dust issues in other areas of your camera? 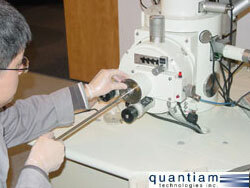 At VisibleDust we use a scientific approach to remove dust and stains from the surface of your digital camera’s sensor. 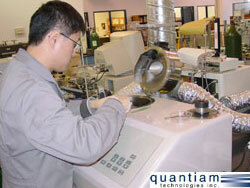 It involves in-depth research and analysis on the safety and long-term use of our products. This makes us a different company than those who simply use home-made tools or over-the-counter products without any safety evaluations or scientific knowledge. For example, you can buy many cheap imitations or over-the-counter nylon or paint brushes for a fraction of the price if you have no concern with the long-term effect or any safety issues. Consider carefully that these brushes are made for a different purpose such as painting which only requires a sweeping effect. 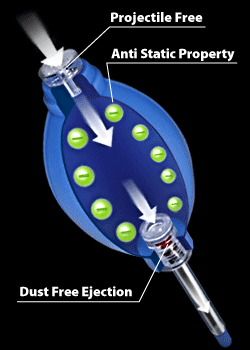 As you read below, you will see that the sweeping effect by itself can be very risky compared to the patented lifting effect of the Sensor Brush®.